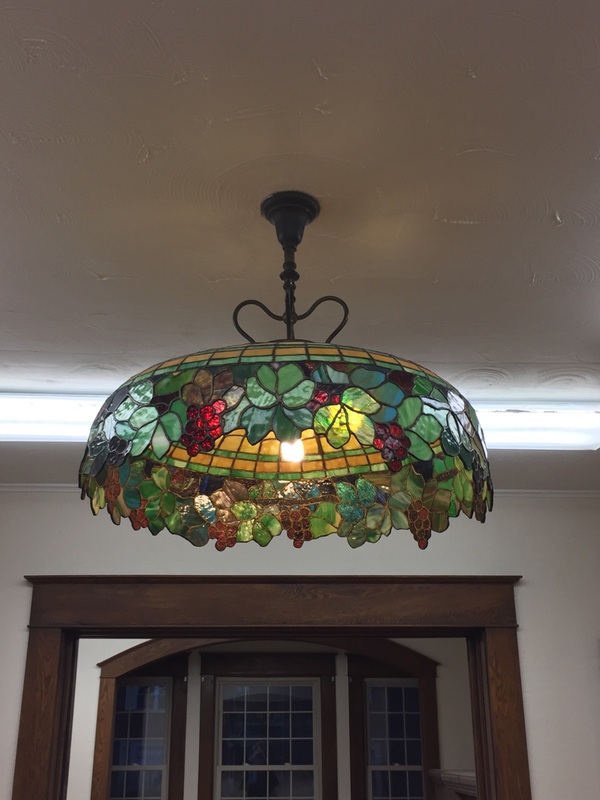 The Rose of Sharon Retreat has added a beautiful new feature to enhance your stay!. 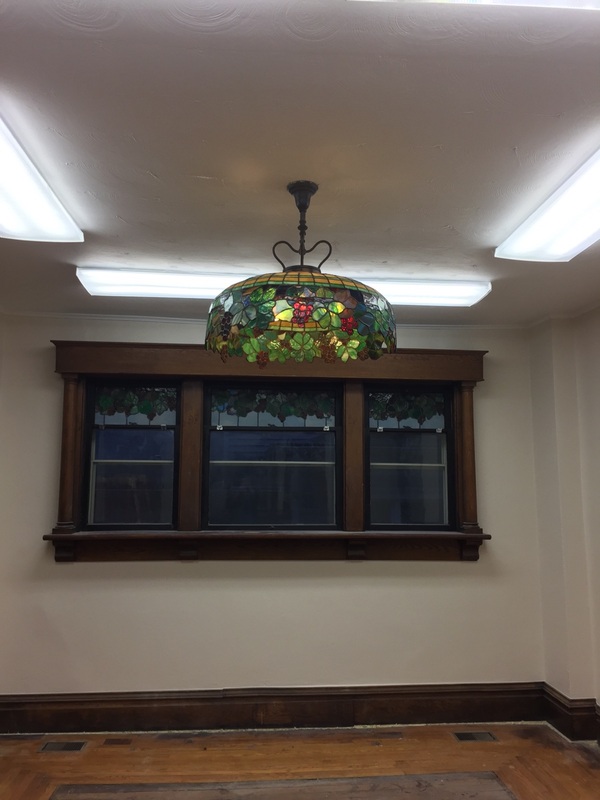 This beautiful antique stained glass light was an original piece to our stone house. It was removed for preservation in the 1970’s. When the owner of the light heard about our quilting retreat center and the restoration of the house they gave, that’s right, gave us the light back and said it needs to be home!. 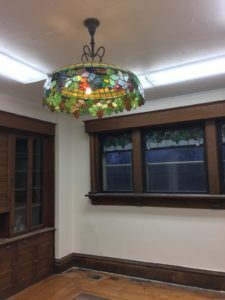 It matches the stained glass window! 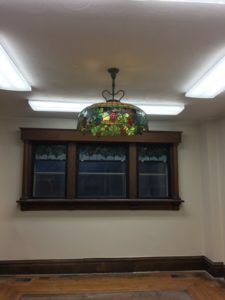 It now is proudly displayed and restored to working order in the sewing/gathering room!. Thank you to the Bonnie Roof family!. Book your stay now to capture the feeling of history and Relax and Create!